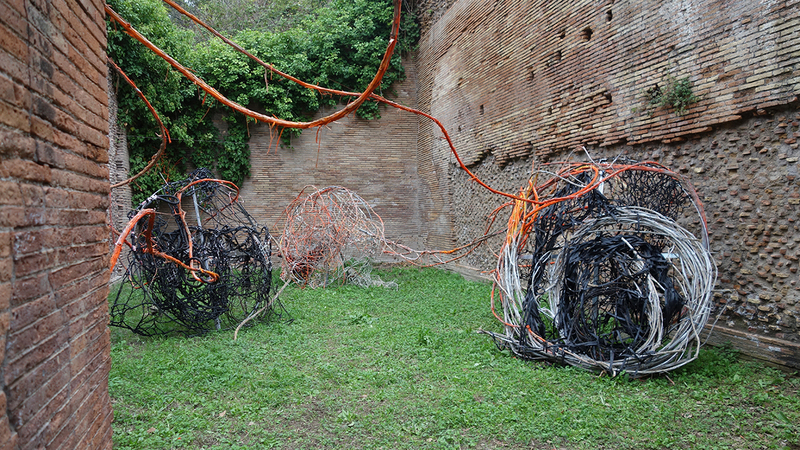 On three standing iron circles are indicated the countries that Odysseus has reached during his 20 year long travels. 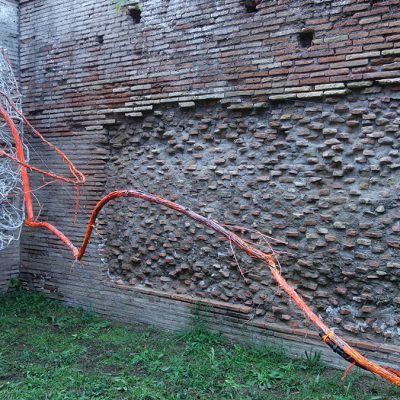 Between them stretch red lianas that mark his winding paths. 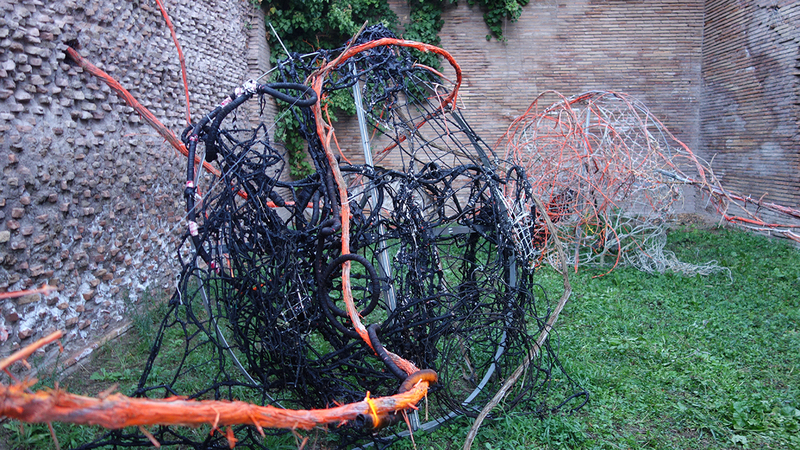 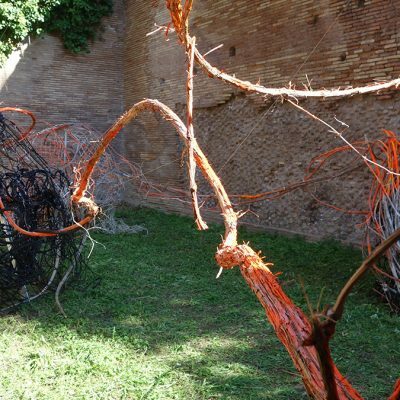 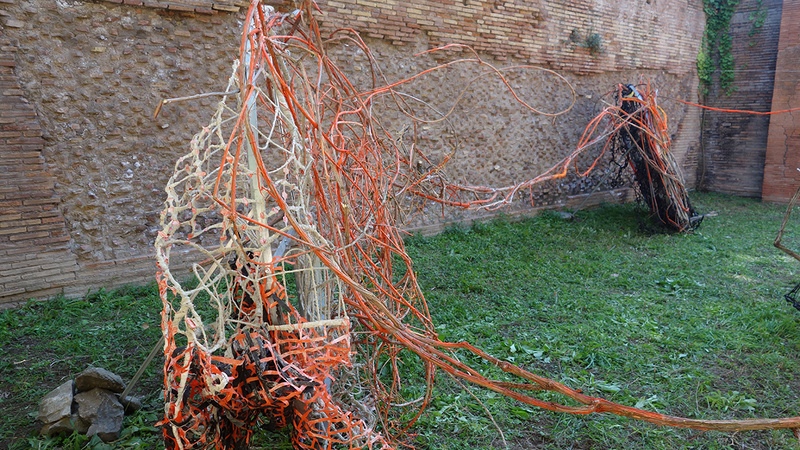 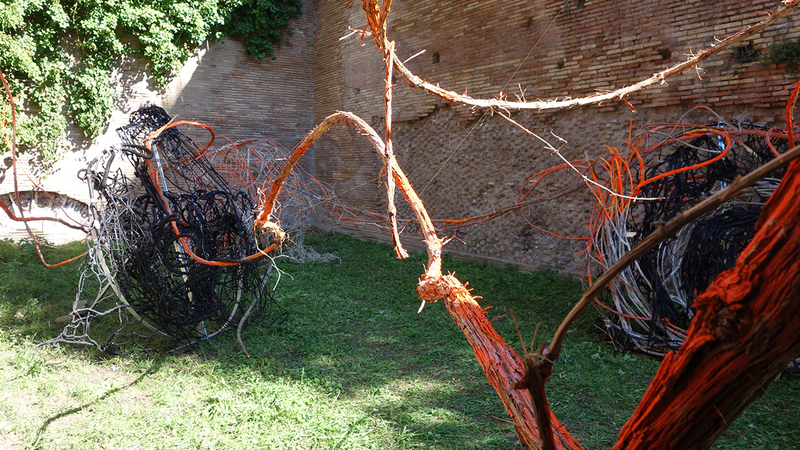 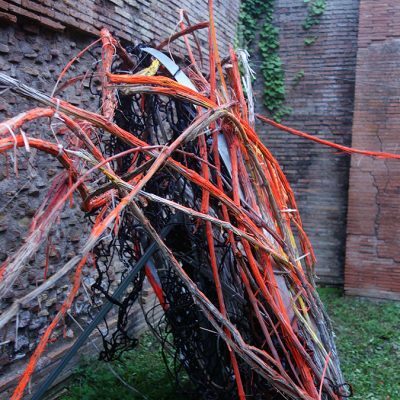 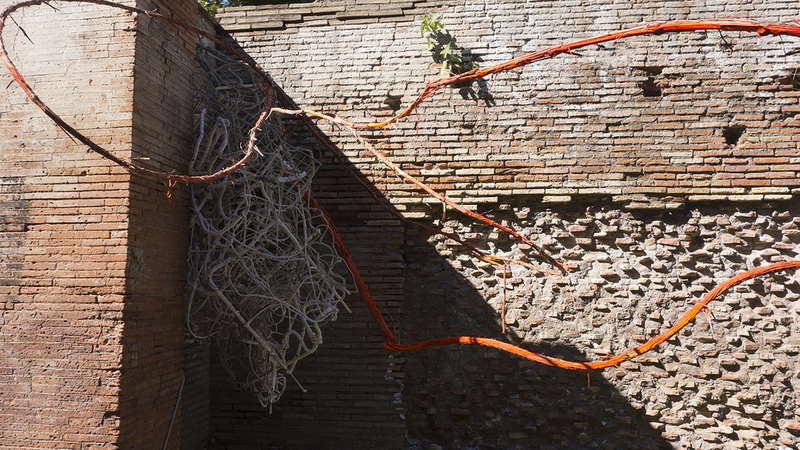 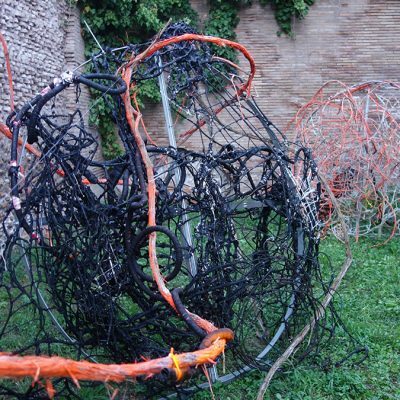 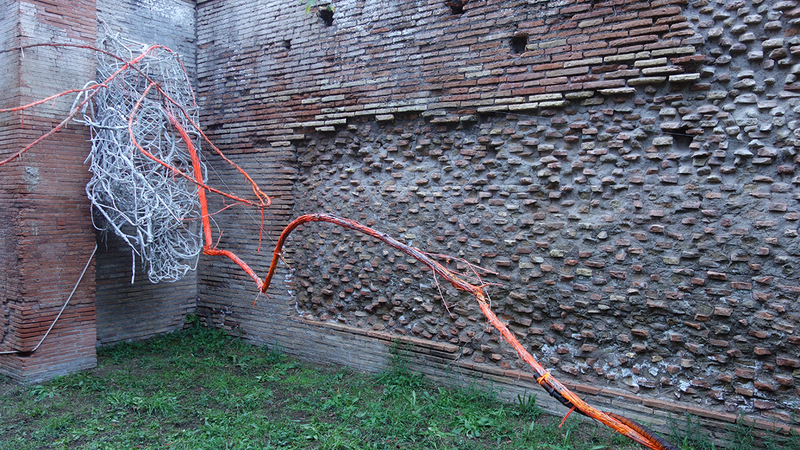 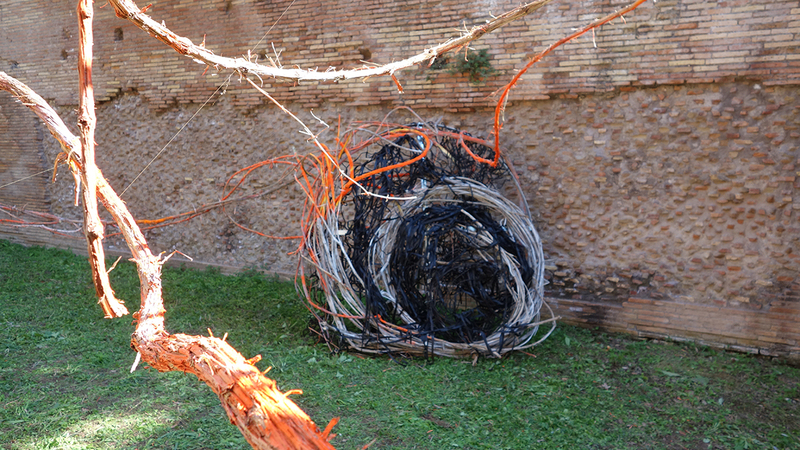 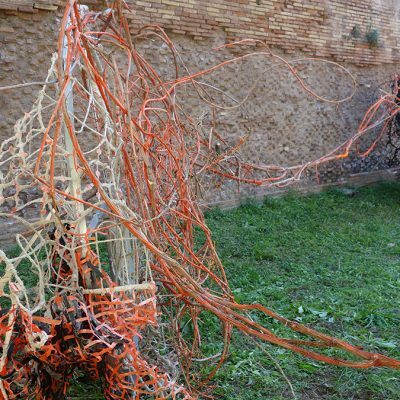 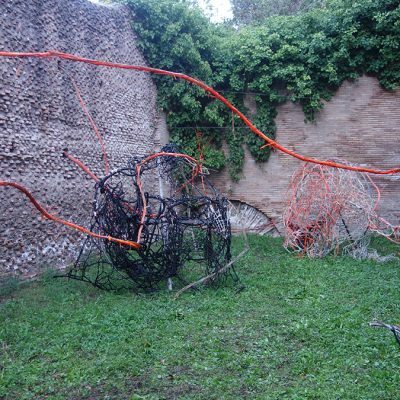 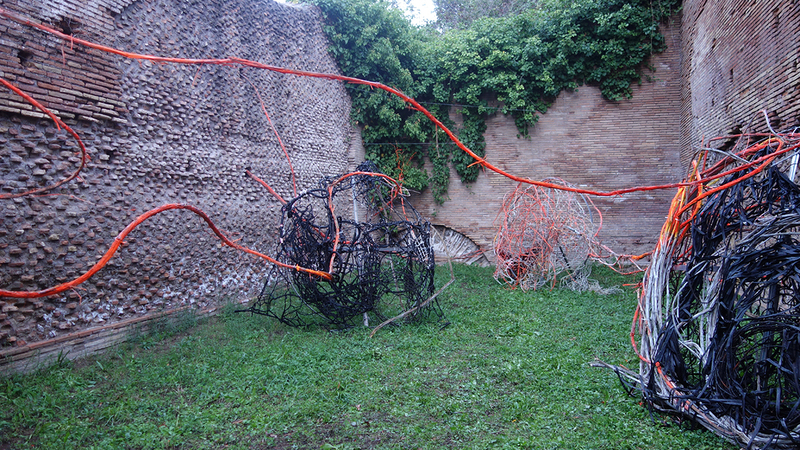 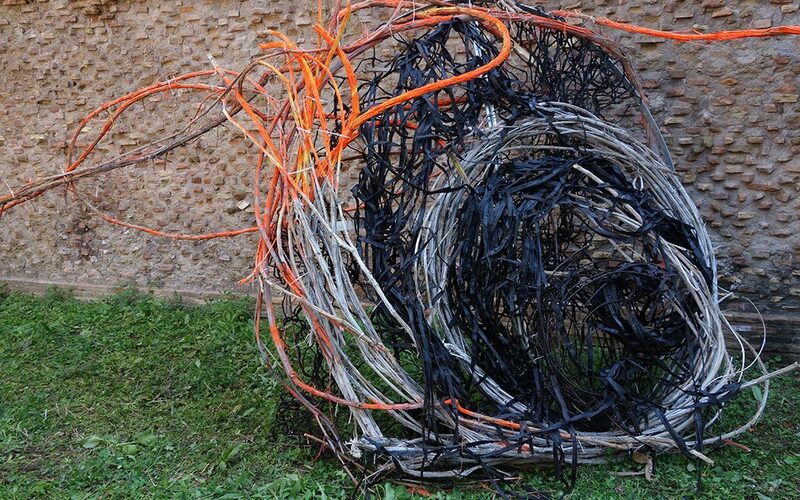 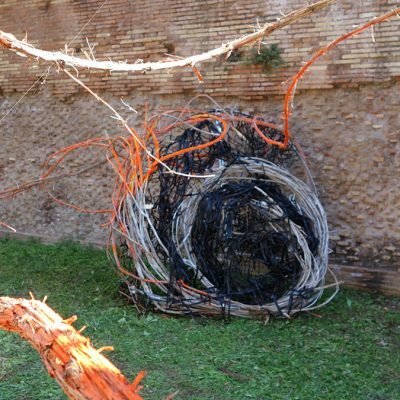 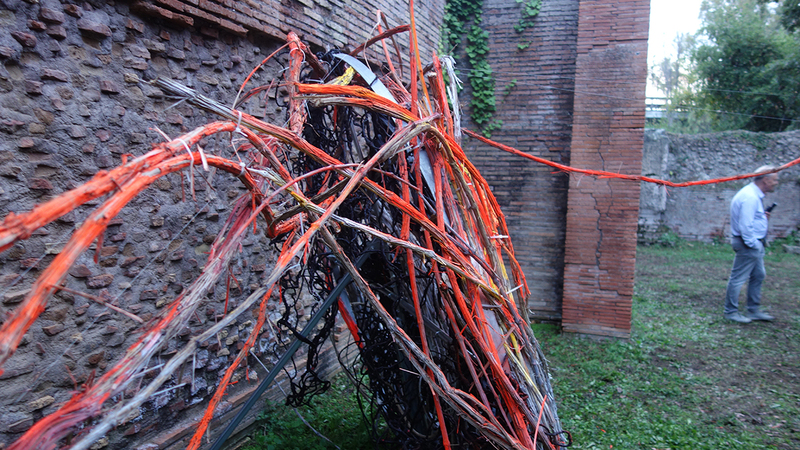 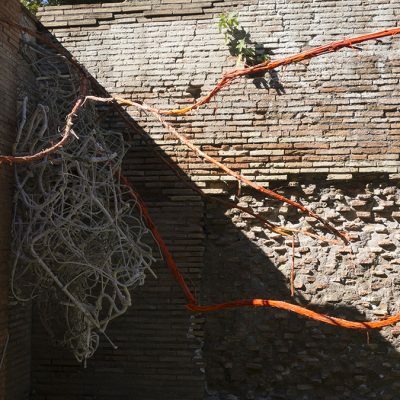 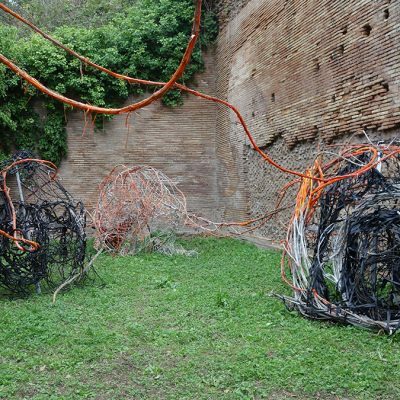 In the installation, confusing entanglements and nets mark the archaeological area of the ancient harbour of Rome, Porto Flavio e Claudio.